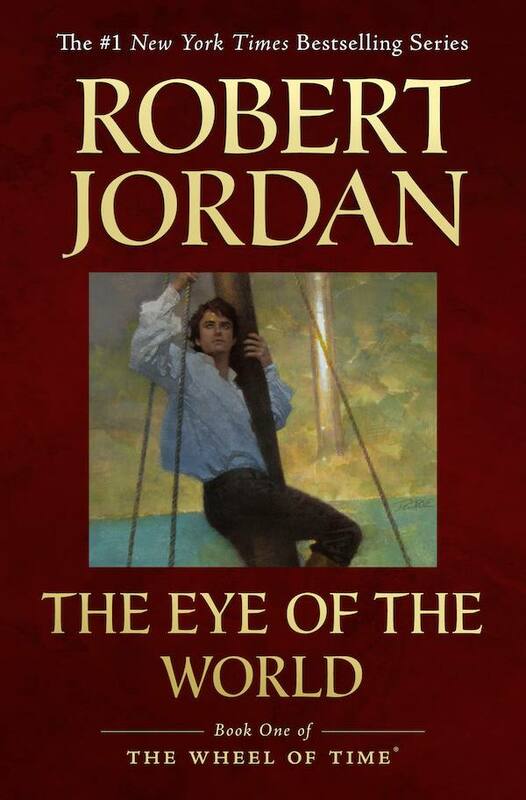 This entry was tagged Robert Jordan, The Eye of the World. Bookmark the permalink. My first thought when I first saw the two covers was I’d go for the OC of course, but on closer look, the NC seems full of mystery (mostly the state of the weather and the look in his eyes). I ‘d be curious to know why- is he lost at sea? Is something going to fall out from the sky and cause him harm? So my second thought is leaning toward the NC. For years I have hated the original cover (that artist was never my favorite; he had weird proportion issues all over the place that just drove me BATTY) so the new one is an improvement. With the new one, I also get the feeling of an old-style adventure novel, like Treasure Island or Captains Courageous. I’d pick up the new one before I chose the original, if I was presented with the two at once. I’ve talked about Jordan’s covers pretty extensively on my own blog. I really dislike the old covers, for the most part, but I have to admit that they have their appeal. They are colorful, and they definitely proclaim what they are about—that “sorta trashy, but I’ll show you a good time” message that you mentioned. A few of them are pretty good (Path of Daggers, maybe The Dragon Reborn and The Eye of the World), at least on par with most fantasy novel covers, but most of them are awful in many ways. I could go off on that, but I’ll forbear. On the other hand, I really like the new ebook covers—for the most part. I’m not fond of the covers for Eye of the World or The Dragon Reborn. They’re blandly colored and make me feel like they’re going to be full of much angst and people thinking about boring things. But the covers for Knife of Dreams, Towers of Midnight, and Fires of Heaven are, in a word, awesome. So to answer your question, for The Eye of the World, I would choose the original cover. Same with Dragon Reborn and Path of Daggers. For the rest, I would probably choose the new covers. Speaking of images affecting potential readers, is that a pic of the Patagonian Andes on your blog masthead? As a climber who enjoys drooling over pics of gorgeous mountain scenery, I am now 1000x more likely to a) revisit your blog, and b) buy your book. On the WoT covers…it would depend on what mood I was in. 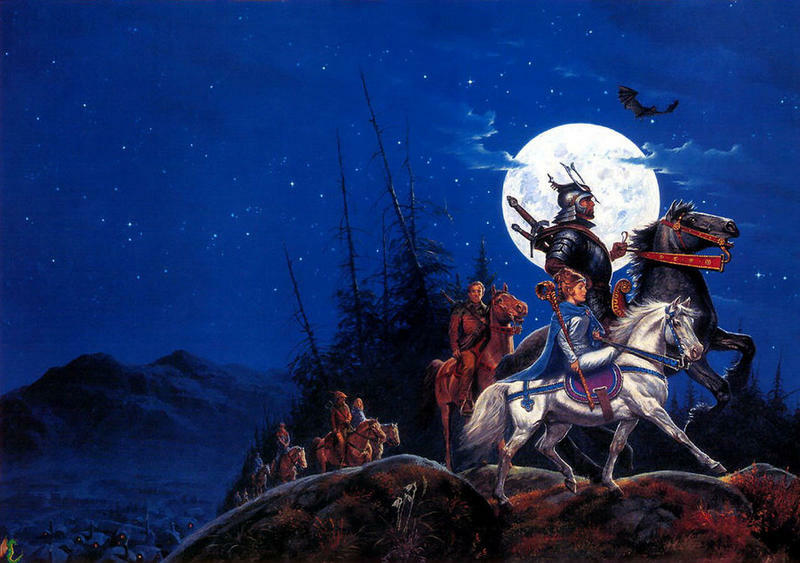 If I were hankering for old-school epic fantasy, cover #1 would win hands down. (Even though I am not at all a fan of Darrell K. Sweet’s art.) If I were in the mood for some kind of Patrick O’Brian-style sea epic, I might pick up #2 (warily, as the cover definitely has a romance vibe and I’m not much of a romance reader)…and then be quite startled by the mismatch of expectations. That is, indeed, a photo from Patagonia — taken by a good friend. I don’t do as much climbing these days (shifted over to adventure racing), but there was a time when I climbed quite a bit, and, like you, I still pore over the climbing mags and glossy photos. Just ordered a fingerboard the other day, actually, on the off chance that I’m able to get to the southwest this fall or spring. Thanks for the comment — I’ll let my buddy know you liked his photo! Adventure racing, eh? I’ve had several friends get sucked into that. (I haven’t because I don’t run. My joints get pounded enough in mogul skiing and figure skating that I don’t want any more wear and tear. I know adventure racing is an endurance sport, but usually there seems to be trail running involved.) Anyway, always cool to see another climbing SFF author! Hope that fingerboard comes in handy. And definitely give your buddy a high five for the photo. I haven’t been to Patagonia yet, but it’s top of the list for my husband and I the moment our son grows old enough for serious climbing & trekking. Those mountains look great. I like the way, too, that the lettering “On The Writing Of Epic Fantasy” is annoyingly illegible against the white background but then clears up when you start to scroll down. I vote for the old Robert Jordan cover. I remember staring at it when I read the book, I just like that style of artwork. Oh dear. Not sure I would go after either book. The old cover is a touch too old for my liking. The new cover… almost feels like romance >__> With a gun to my head, I’d probably pick the old one. Your book cover looks GREAT, by the way! Prefer the old cover. Too much “romance novel” in the new one. I do like yours very much however. Thanks! Richard Anderson is a very talented guy — you can see more of his work over at flaptrapsart.com, if you’re interested.